In August 2013, I woke one day to realize my lifelong journey of self-discovery was about to take another significant turn. I had lost my way again. That morning in August, I woke to the realization there was a plan in place for my life that made no sense to me. The plan included where I would live, work, spend my vacations, and how I would parent. The shocking truth was this plan was not aligned with who I was or who I wanted to be. How had this happened? I had actively participated in each decision leading up to that point, but I felt like I was a stranger in my own life. When this realization hit me, I made some quick and dramatic changes in my life, all within a short period. As painful as the changes were, at times, I knew deep within they were needed, and in the end, all of us would be better off. My eldest daughter’s wise words were playing out in my life: “If the rate of external change exceeds your rate of internal growth, change will be forced upon you.” And typically not in a way that is preferred or comfortable. I realized I had lost myself in the busyness of the day-to-day rat race and was just surviving not thriving. I had been working long, hard hours to pay for a house, a car, family vacations, and nice things, but had no time to enjoy them. I found myself striving to be Supermom, singlehandedly organizing the large school fun fairs, volunteering for countless kid-related organizations/teams, running from one sports activity to another, and essentially taking on so much that sleeping had become less and less of an option. I did that because it was what a loving, dedicated mother is supposed to do, right? I was trying to be the best mother/daughter/sister/partner/friend that I could possibly be, but I was living my life based on what other people expected of me, what society said I should do, and what I thought was right. I had already had one other major wake up call back in 2008, when I was diagnosed with multiple sclerosis. 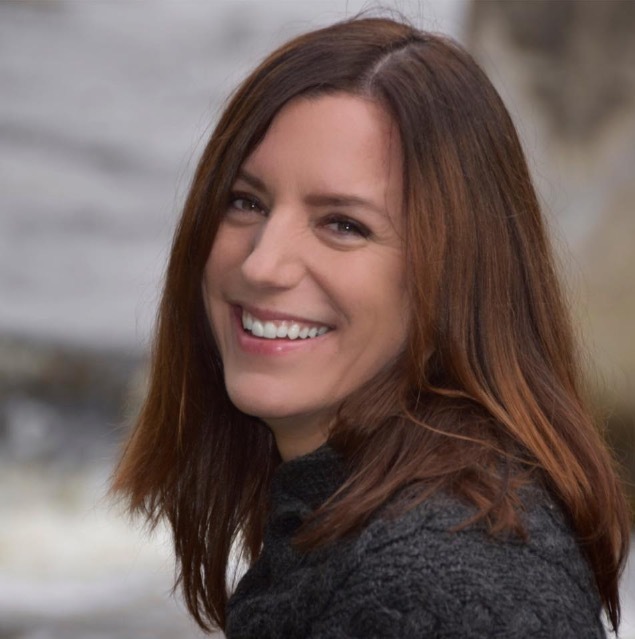 At the time I was thirty-eight, an executive director of a nonprofit organization and a single mother of two beautiful, active, and spirited girls. I was constantly on the go. I could easily have been crowned “Independent Woman of the Year.” The diagnosis was a blow beyond anything I had ever experienced. With the diagnosis, I instantly knew I needed a spiritual, mind, body, and soul awakening. I needed something that would shake up my world, help me see my life differently; something that would move me from seeing my future as doomed. A few days later, I found myself in the door of an airplane, fourteen thousand feet above the earth, ready to take a leap of faith. 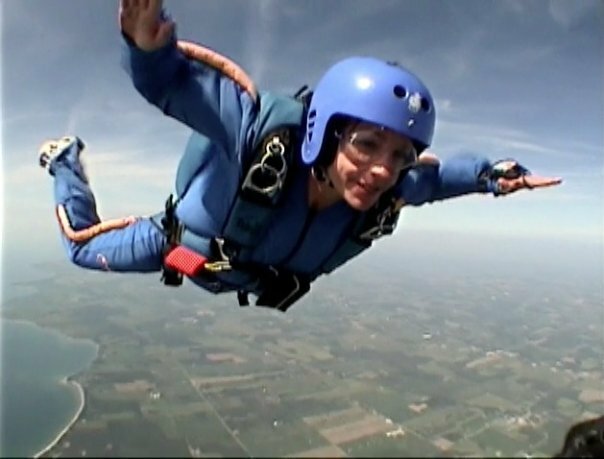 I jumped from a perfectly good airplane, something I had never been interested in before and had never thought I would do, but here I was skydiving. As we left the plane, I was in complete awe. I forgot that I was falling at 120 miles per hour and more importantly, I forgot that I was afraid of what tomorrow would bring. Instead, I couldn’t take my eyes off the ground, in awe, in appreciation, in a state of pure joy. Eighteen months later, so much of my life had been transformed, including the wonderful news from my neurologist that I no longer had M.S; misdiagnosis, miracle, or spontaneous healing, it didn’t matter to me, either way, I was given a new lease on life. So how is it that over the next three short years I seemed to forget and fall back into old patterns and back into the living within the normalcy of the day-to-day routines? The world is a beautiful place, and each of us has the ability to make it even more beautiful. When we do it together, the synergy is where the magic happens. Letting go is not easy, but it is probably one of the greatest gifts you can give yourself. Sometimes the darkest moments are where you discover your greatest truths. Trust starts with you. When you trust yourself, you discover that all the answers are already within you. Freedom is a state of mind, and the environment is just the backdrop. Choose to experience freedom in all that you do. Vulnerability does not make you weak. It can be your greatest strength. Love is easy! When it is not easy, then it is attachment. Forgiveness is more about what you need than it is about the other person. Be generous with forgiveness, and your heart and soul will thank you. Failure is an option, and it is worth the risk. Remember always love yourself. You are worth it. Keep your life choices aligned with this knowing. Remember that the little choices add up. Don’t ever settle! Everyone has his or her own truth. Live yours. Know that others will follow their own truth. Trust that those who are aligned with your truth will remain in your life and those who are not will leave. Do not take things so personally. Discomfort means you are growing. In the discomfort, it is easy to forget, but do what it takes to remember that love is the answer for everything. I truly love my life, all of it, the good, the bad, the beautiful, the ugly, the smooth road and the bumpy path. I have come to believe that one’s purpose in life is very simple… it is to love the life you live. I strive to live this by example. My life is not always easy, and it is far from perfect, but it intentionally and authentically all mine! My story is why I want to support others in designing a life they love and to live the adventure their life was always meant to be. Four years ago, I took that next leap of faith, and took my first step to getting out of the rat race and started my own business as a Life Strategies Coach and Counsellor supporting individuals in the designing of a life well lived. Whether it is my one-to-one coaching, counselling, or in a workshop setting, I strive to create a safe and supportive environment that challenges you, with intention, to unlock your full potential to a life of joy, love, passion, adventure, and play, by helping you make the most of your natural abilities and to find ways to work around your weaknesses. I use highly effective, evidence-based tools and strategies that the most up to date neuroscience research supports. * co-author with my two daughters in the soon to be released book Changing the World One Child at a Time: Raising Socially Conscious Children Who Love Their Lives. I was featured as the Life Coach expert in the Finding Happiness: Reaching Your Peak in the lead article in the Summer 2015 Esperanza Publication. 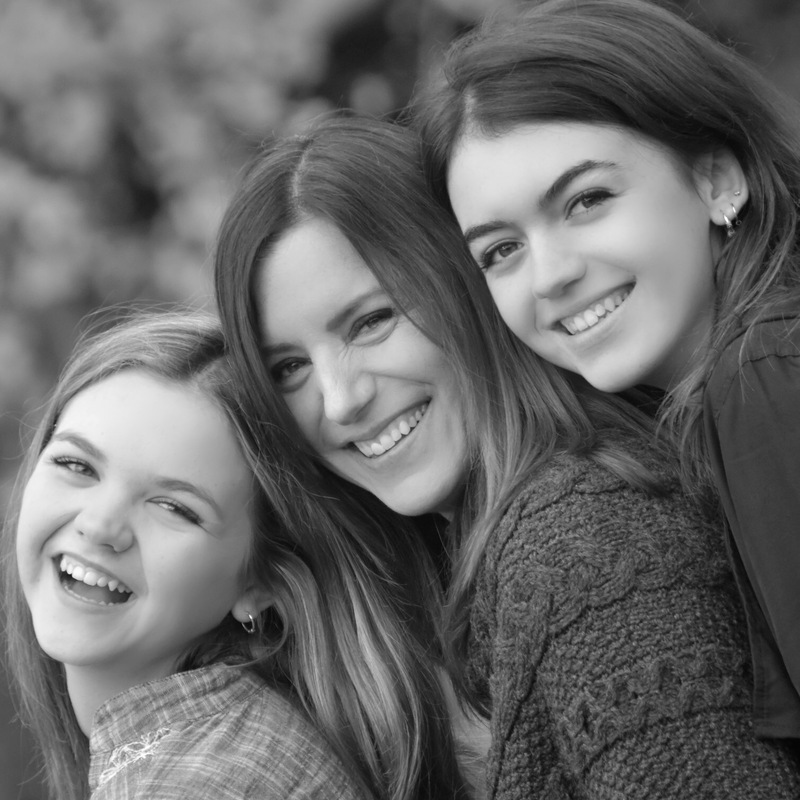 I live with with my two daughters, both of whom have taught me much about love, laughter, and play. In addition to my newly found love of writing, I enjoy hiking, travel and new adventures. I would be happy to provide you with a free discovery session at Kathy@kathybazinet.com (sessions available in person, by phone, or Skype). * I believe in the importance of living a socially conscious life. My business contributes financially to the Free the Children organization, in the hope of creating a better world for all children with clean water, education, access to medical care and sustainable living.